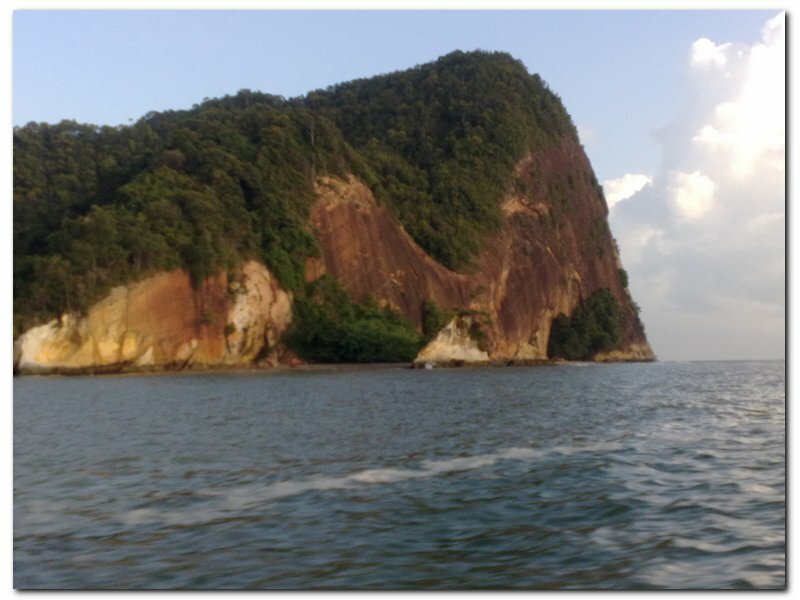 Went to Gobin Rock today with Jason, Jepp, Bakry and Ah Lung. We followed Ah Tam, one of the boatmen in yacht club. 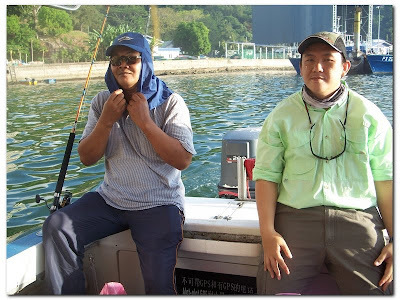 The weather was good but the current was quite terrible. 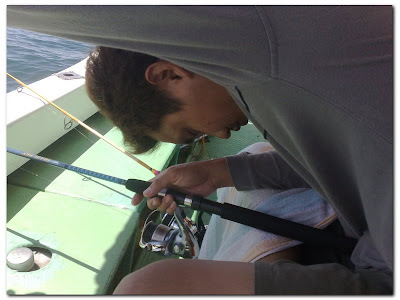 Jepp, Jason and I had seasick. After being attacked by 3 'sea snakes', the seasick we were experiencing was getting worse. 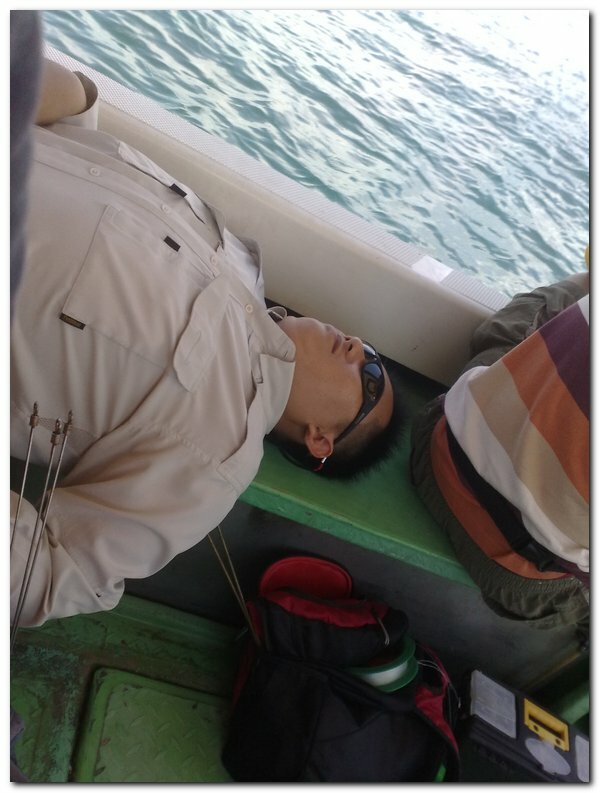 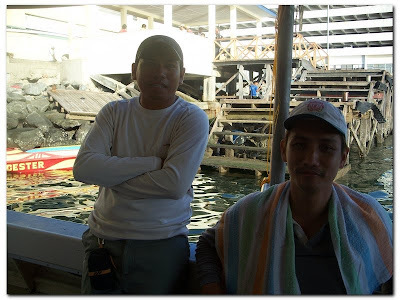 At about noon, all of us were sleeping on the boat when all of the sudden, Ah Tam shouted. 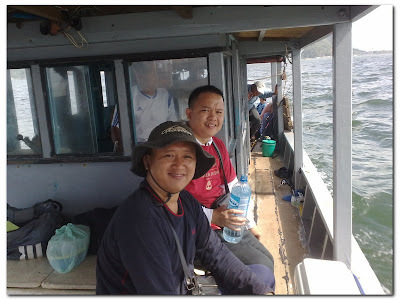 As the current was very strong, we headed back to Berhala Island. 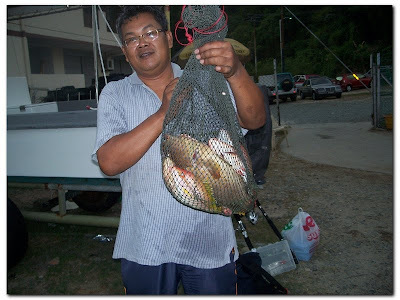 Fished around this area until 4.30pm. 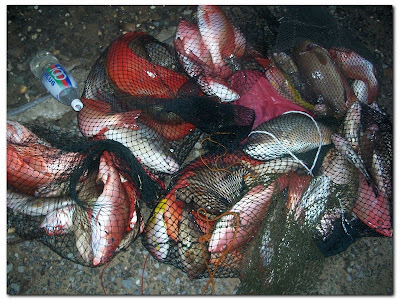 And these were what I've caught. 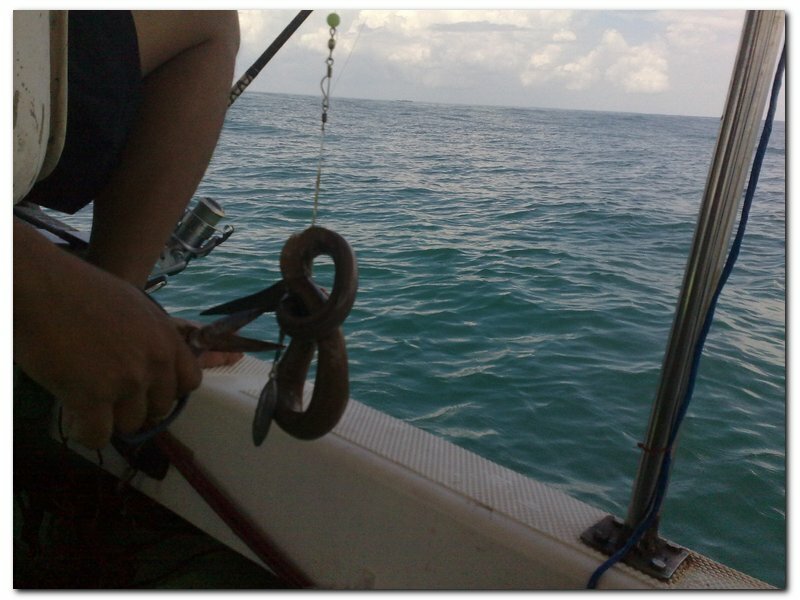 Made a decision with Jepp that we will never go and fish in Gobin Rock again. Went to Pulau Bai again today with Jepp, Bakry, Bob, Fred and friends. 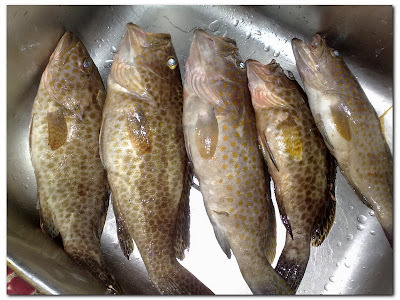 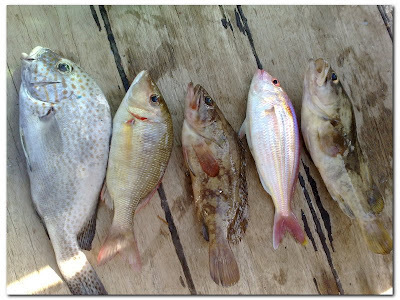 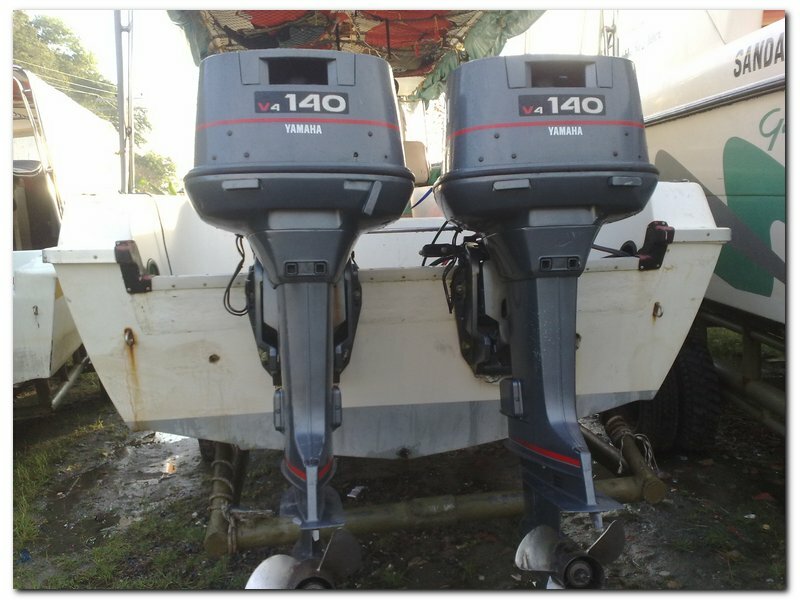 Fished from 7.00am to 3.45pm. 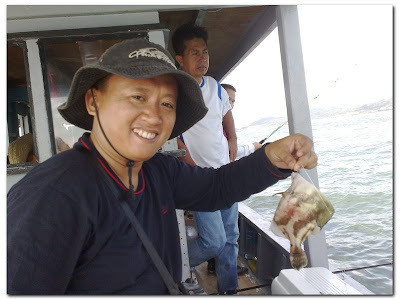 Had a lot of fun fishing in this area. 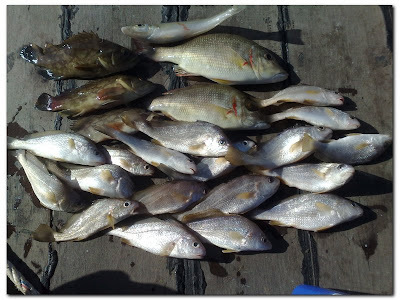 These were what I've got. 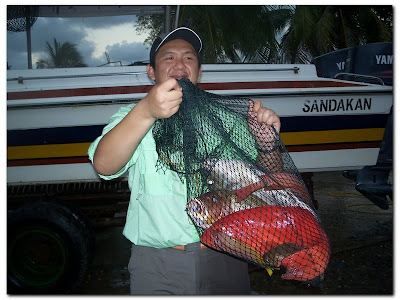 18 crockers, 2 pink ear emperors, 3 groupers and 1 'bebolos'. 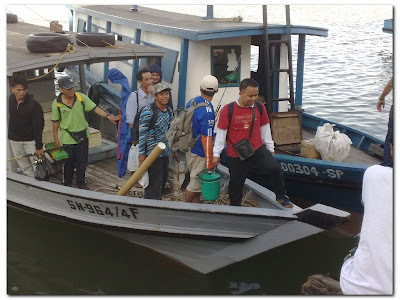 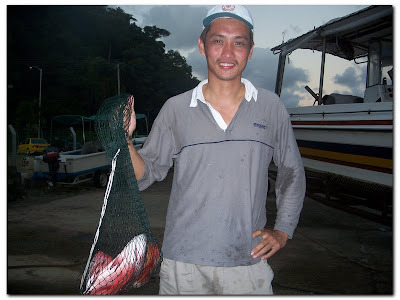 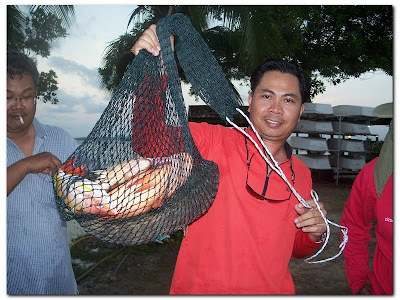 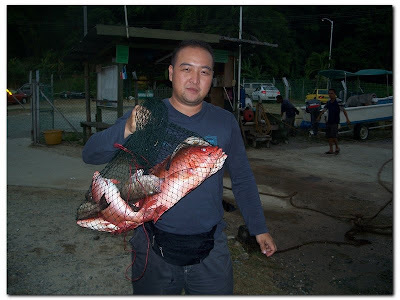 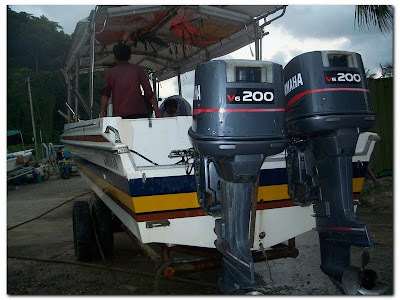 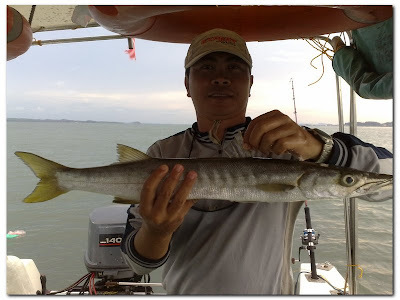 The person who've got the biggest fish in this trip was given RM20. 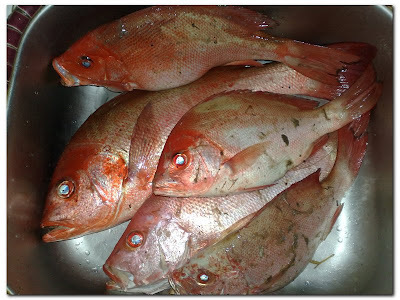 Went back home from the jetty of Sandakan wet market. 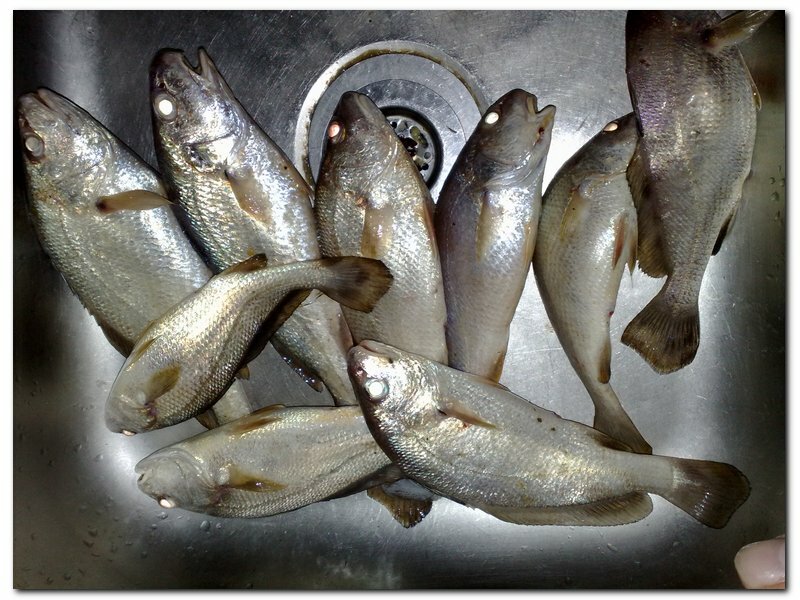 Went to Kretam today with Jepp, Bob, Marjan, Bakry, Jason, Juini and Zizu. 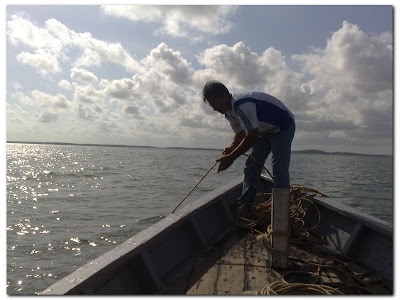 We followed Tikia the boatman from yacht club. 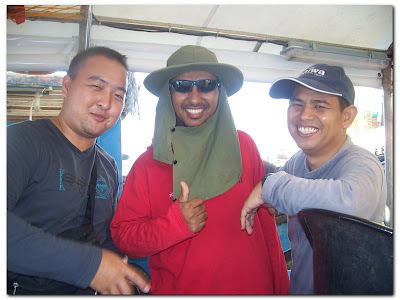 This trip cost RM1650. 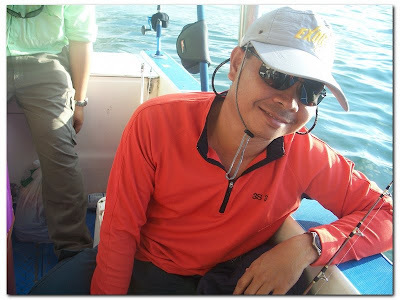 Jepp was the organizer of this trip. It was a very enjoyable trip and I really hope to be able to fish in Kretam again. 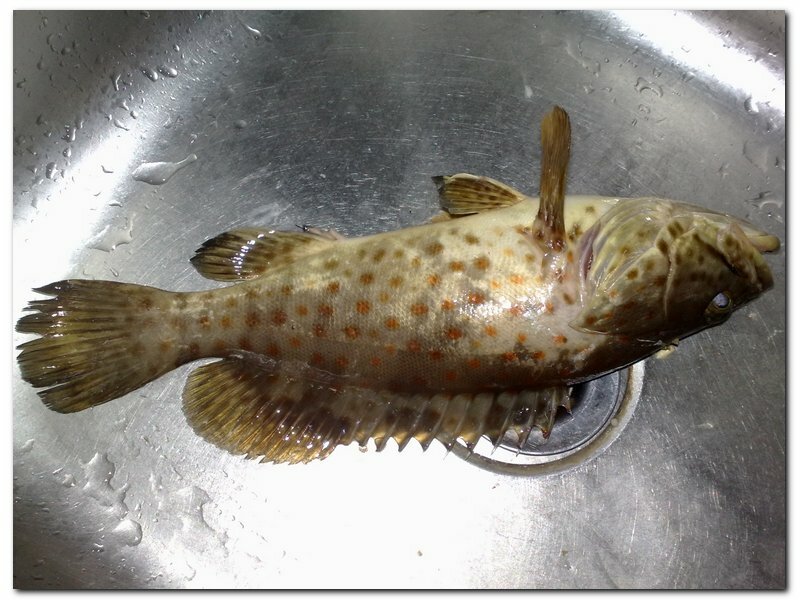 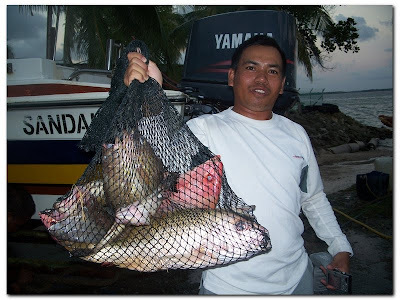 Bakry's first catch- a 2kg grouper. 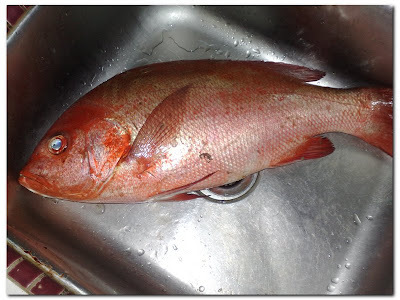 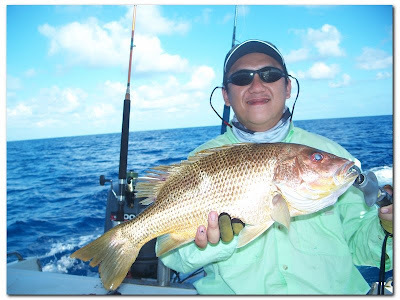 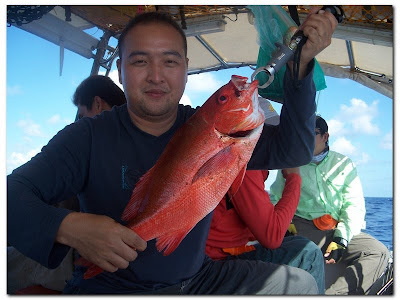 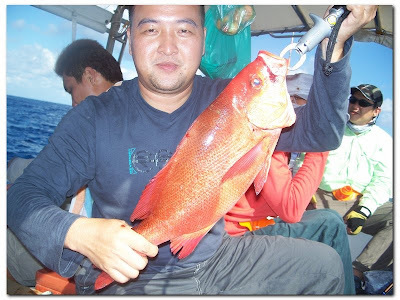 Zizu's first catch- a 2kg John snapper. 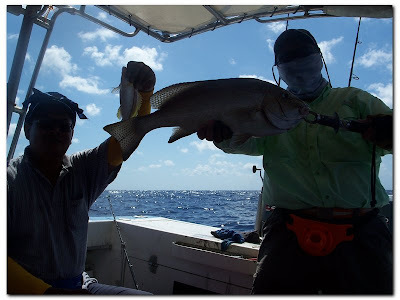 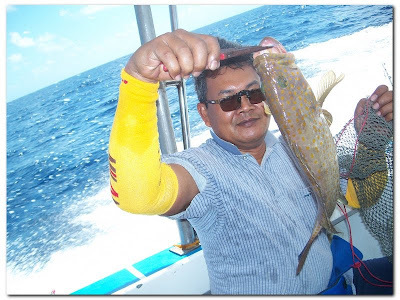 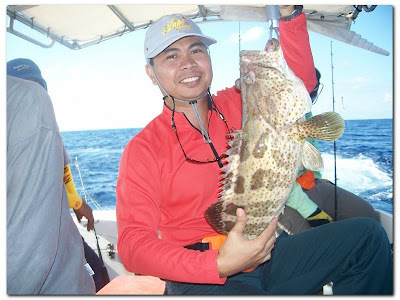 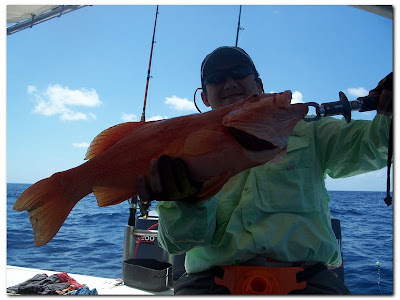 Jepp with his 3kg coral grouper. 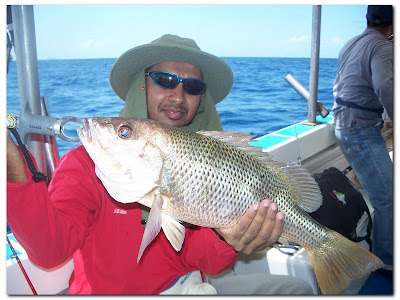 Jepp with his 3kg John Snapper. 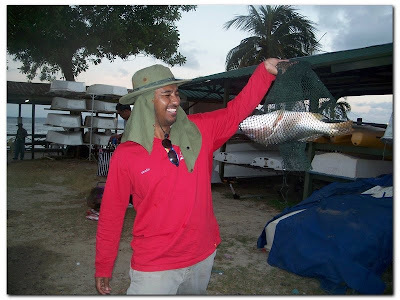 Myself with a 2kg red bass. 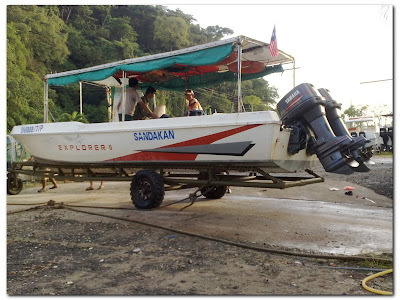 The speed boat we rented to Kretam. 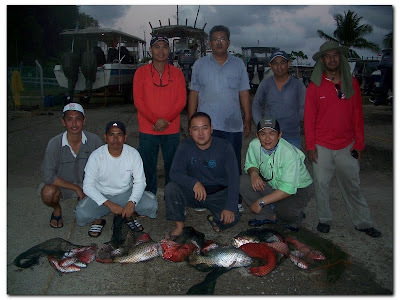 Jason, Marjan, Bakry, myself, Bob, Jepp, Juini and Zizudini. 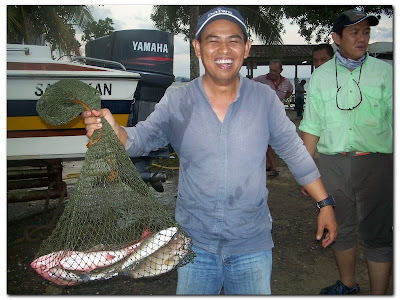 This was not our best fishing trip but it's really enjoyable. 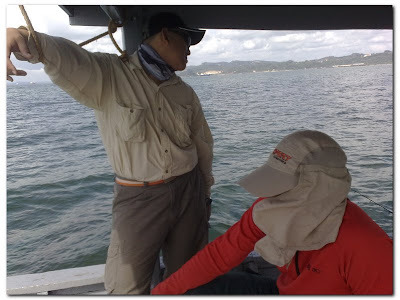 With 2 broken rods ( Zizu's and Juini's ), we'll surely go back to Kretam soon.